In the midst of the stacking/layering jewellery phase we've encountered and embraced in the last several decades or so we are now seeing jewellery designers subtly veering away from this craze (the necessity of purchasing additional jewellery to create the desired effect) to design a piece with an all-in-one approach. 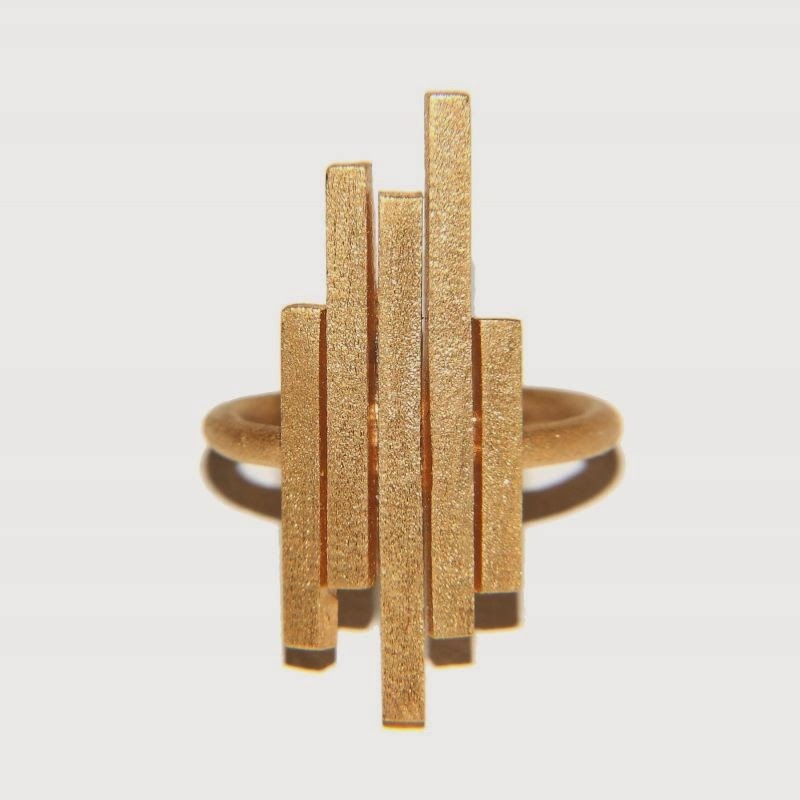 This Gold Matilda statement ring from Jane Gowans Matchsticks collection is one of a few ingenious examples of successfully achieving this concept. This exciting geometric-inspired handmade ring reminds me of a contemporary sculpture you see in modern art galleries and provokes abstract curiosity, evoking images of head casually leaned to the side and pondering the thoughts of the creator. It has a hint of playfulness with its imperfectly stacking aesthetic whilst remaining clean and orderly simultaneously. From a seemingly ordinary and humble idea transformed into an extraordinary wearable art, it is to be enjoyed everyday, for every occasion.